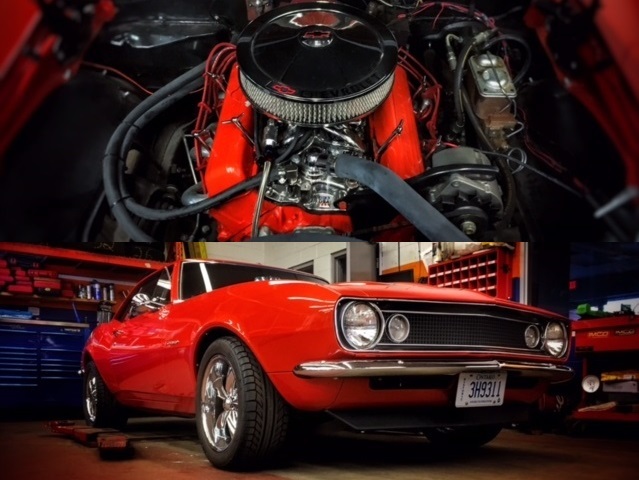 Joe, your Master Mechanic Markville and Markham, has been restoring a 1967 Camaro for a few years now and recently made contact with the vehicle’s original owner, Mathew Biro in North York, Ontario for a surprise visit… Mathew is the original owner of this ’67 Gem. As it turned out, Mathew, 86 years young, was a little down in dumps after suffering a recent fall, injuring his leg, side and head. He could barely walk without a cane and had visible bruising on the side of his face, but he was delighted to see the restored vehicle and eagerly proceeded to climb into the passenger seat. Joe stated: “It warmed my heart to bring them together once again…”. Mathew and his wife recounted many memories of the Camaro. Stories such as his daughter having learned to drive in this very Camaro and about a portrait he has of her sitting on the hood of the Camaro as a child. Mathew owned the Camaro for 30 years. Buying it second hand, a few years old, it was used as the family car for 10 years, then stored in his garage for 20 years unused. 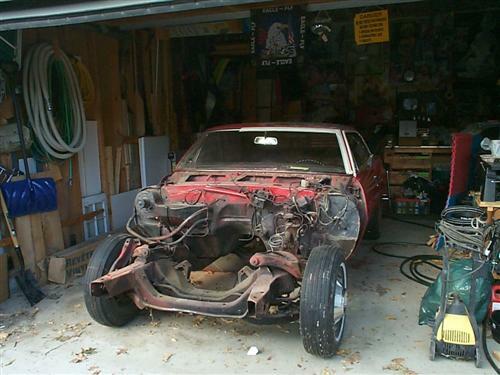 As odds and ends piled around the stored Camaro over the years, the only visible feature of the 1967 Camaro was its front end. One day Mathew had left the garage door open exposing the Camaro and a young man rang his doorbell and asked if he could buy the vehicle. The Camaro was pulled out of his garage freeing up space and sold. It wasn’t for another 8 years until Joe purchased the Camaro. Through the buyers’ package Joe was able to see a list of registered owners and made contact with Mathew, who was still living in North York for a bit of history on the vehicle. Joe indicated he was restoring the 1967 Camaro and asked if Mathew wanted to see it when it was done. 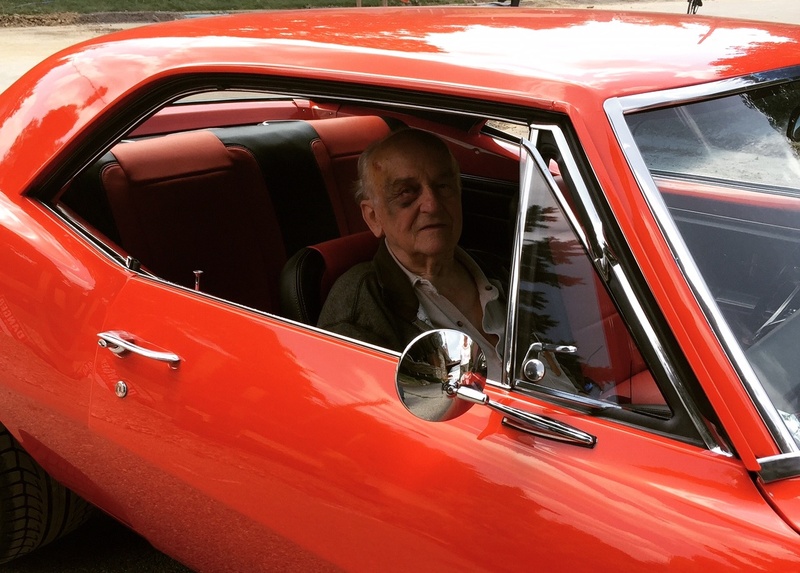 August 30 2017, 7 years later on a dry sunny August day, Joe met Mathew and Mathew relished sitting inside his old ’67 Camaro, smiling and remembering the good times. The 1967 Camaro has been on both the Markham and Markville sites throughout the restoration. A product of Joe’s care and labour of love in vehicle restoration. On Sept 10, 2017, Markham Ontario is holding its 18th annual Markham Auto Classic featuring over 250 classic cars, street machines, trucks and motorcycles on Main Street Markham, just beside the Markville shop location. The event features live music (10am – 3pm), food and craft vendors! Trophies will be awarded at 3:30pm! See if your favourite car wins! Don’t miss this great show!